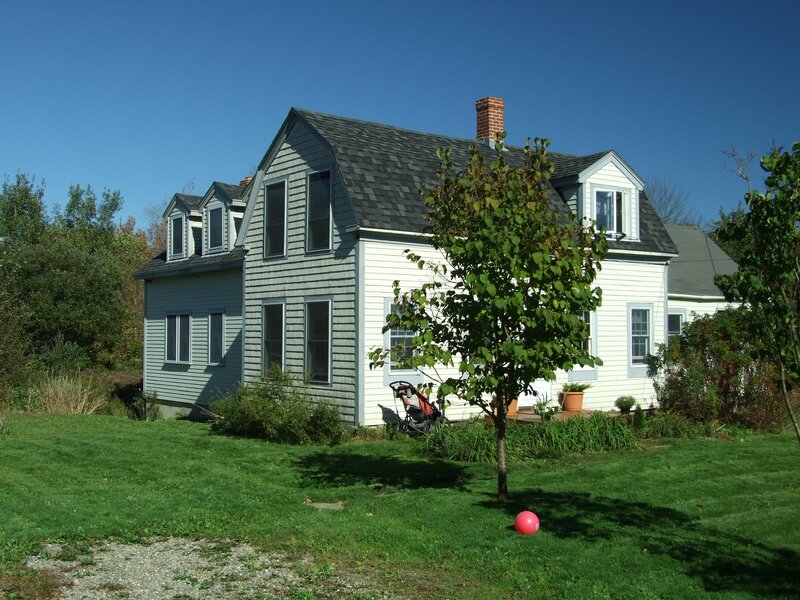 Back in December, 2010, my fiance Julie and I bought a farmhouse on three acres of land in Hope, Maine, a bucolic, progressive and somewhat artsy community in the hills about 9 miles inland of the beautiful coastal village of Camden. It was somewhat of a gutsy move- people don’t generally move to Mid Coast Maine without some sort of business plan. Our business plan consisted of this: doing exactly what we wanted to do. In my case, it was to write a book, play jazz and record my next CD. While the book is slowly coming along, the jazz is happening now. I suspected, but did not really know, that Maine had some talented musicians lurking in the hills and harbors. To my relief and delight, I continue to discover more really fine players who actually enjoy getting together with other like-minded musicians to play and exchange ideas and chops- and not always just for the bucks. 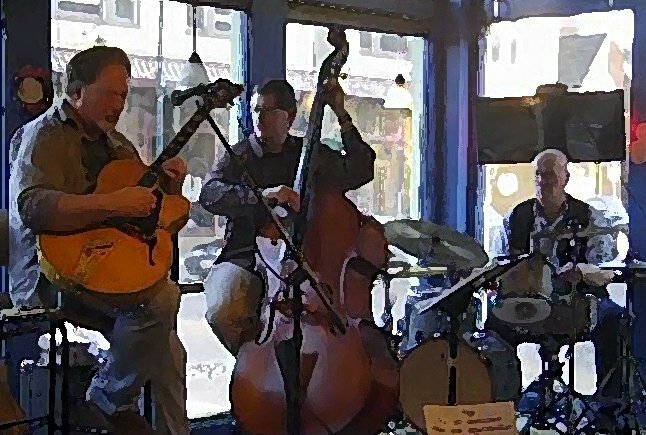 In addition to local paying venues, there are regularly scheduled jam sessions throughout the area, where some of Maine’s finest jazzmen show up to blow. Two that I attend regularly are the monthly jazz jams at the Waldoboro Theater Annex http://knox.villagesoup.com/ae/story/jazz-jams-continue-in-new-year/371063 and the Waterfall Arts Center in Belfast http://www.waterfallarts.org/Maine-Art-Centers/. For a while I hosted a guitar workshop at the Waterfall Arts Center prior to the monthly jam. 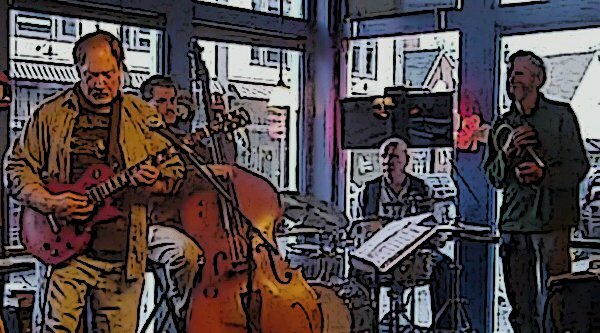 Meanwhile, I am continuing to enjoy getting to know the people of Maine and I love the local audiences’ responses to my music as well as the interaction with other jazz musicians in the area. Here’s a quick montage of my trio’s gig at Rock City Books and Coffee, Rockland, Maine, in March 2011. Maine- the way jazz should be! You mean there may be hope for me!!!! Hi Bill, my wife and I are in the process of moving from Newton, MA to St. George. I am retiring from my high-tech computer job and want to spend lots of time doing my other thing, jazz drums. I have a good network of players here in the Boston area, but am quite worried about how I’ll find opportunities up your way. Well, this site of yours has given me some hope (you moved to Hope….go figure). Would you mind if I look you up when we get up that way? Would help me get musically oriented up there. And thanks much for posting this site. Maybe I’ll get to use my drums up there after all!!! « Bill’s Wicked Good Authentic Cape Cod Quahog Chowdah! You are currently reading Maine- the Way Jazz Should Be at Bill Barnes Jazz.